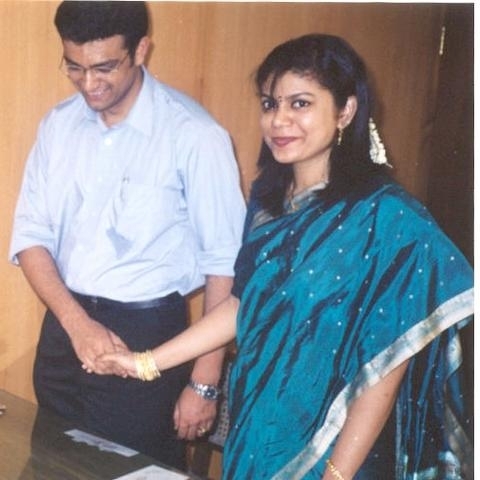 I met Kiran through Shaadi.com. Actually, initially i wasn't too sure of the whole new concept of finding your partner over the Internet. But it was definitely worth a try. So I enrolled myself and to my surprise I started getting prompt responses. Within course of time I narrowed my search to a few applicants one which was to be my future husband. Never really had the slightest inclination of what was in store for me. 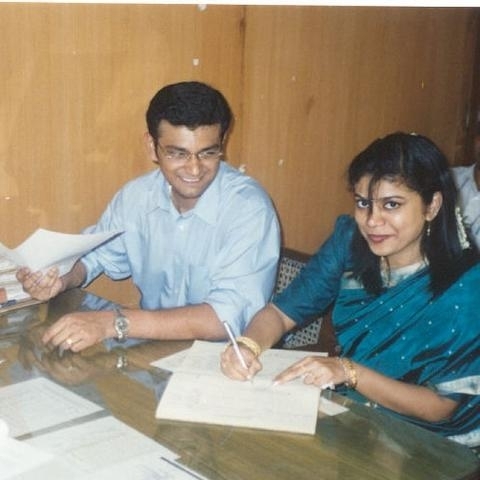 It was 12th June 2002, when we first started interacting with each other. 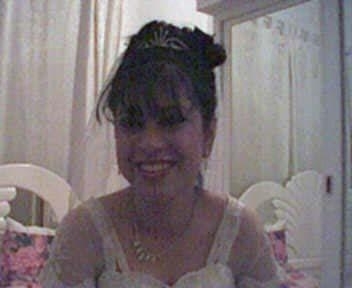 Kiran was working in Kuwait, whereas I was working in Doha Qatar. Two different corners of the world. 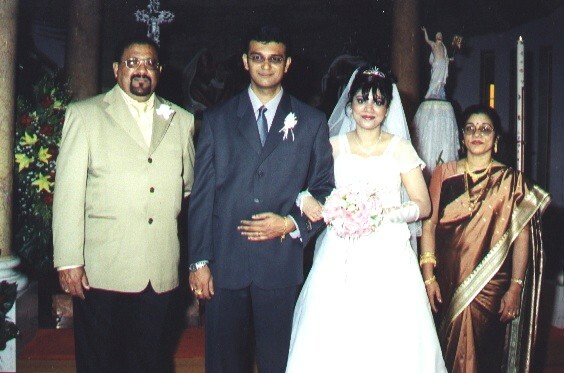 Secondly, I am from Mumbai and Kiran from Bangalore. Intially, we started with chatting, then moved on to calling each other. It started with "getting to know you" kind of conversation and before we knew it, SMS'ing and Calling up each others had become indispensable part of our routines. That's when we realized that we are made for each other. Finally we decided to meet up in Kuwait which was in the month of August 2002. I flew all the way from Qatar. It was quite interesting to physically meet someone, who I had decided would be my life partner after just 2 months of interaction. He was the man of my dreams, tall and handsome. Well things went fine after that and we decided to tie the knot soon. 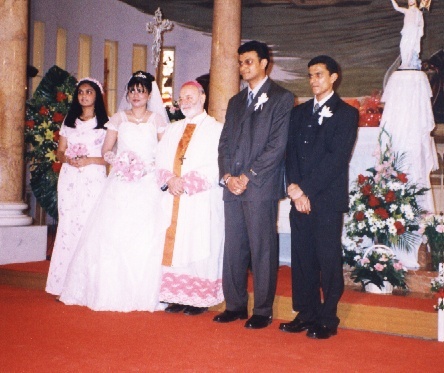 We got engaged on 24th November 2002 (Our Lady of Dolors Church - Wadala, Mumbai). 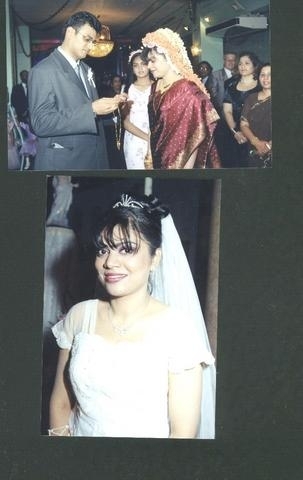 It was a great day of our lives and we both vowed to be tied into this beautiful relationship of husband and wife. 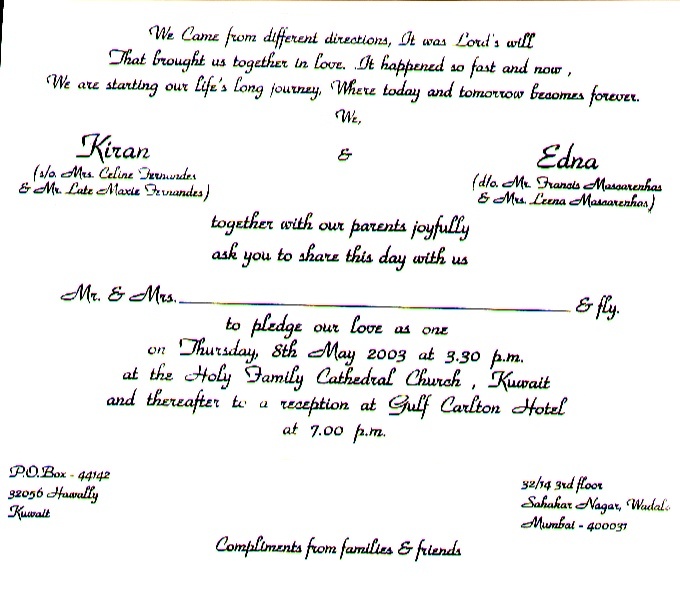 So eventually on 8th May 2003 (Holy Family Cathedral Church - Kuwait), we it all happened.